Siam Oriental Tropical Garden. This low rise condominium is located on Pratumnak Hill. 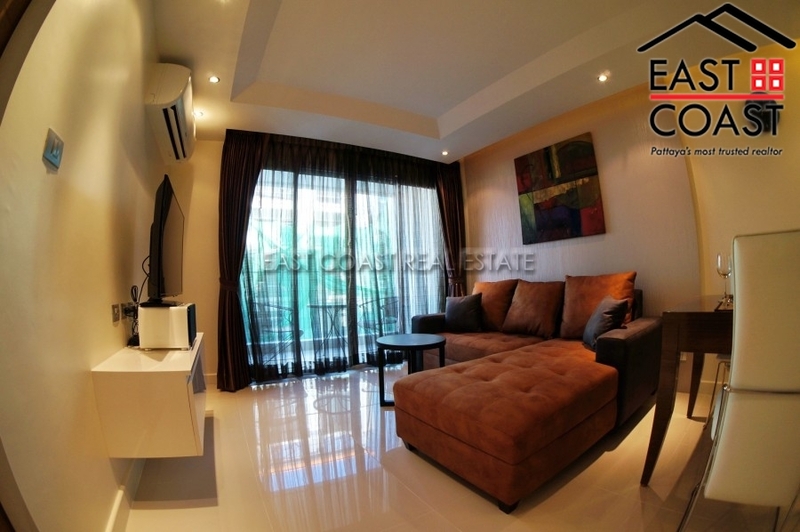 This one bedroom, one bathroom 40 sqm unit is located on the 4th floor. 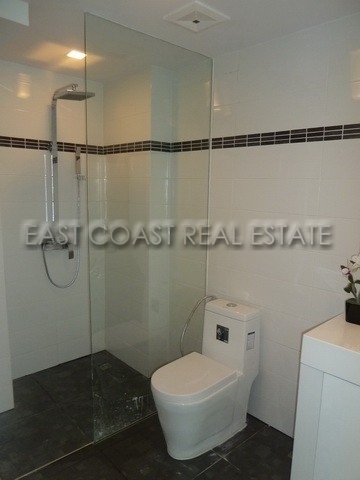 It comes fully furnished, Euro kitchen, high spec bathroom with rain shower, modern furniture and a good size balcony. 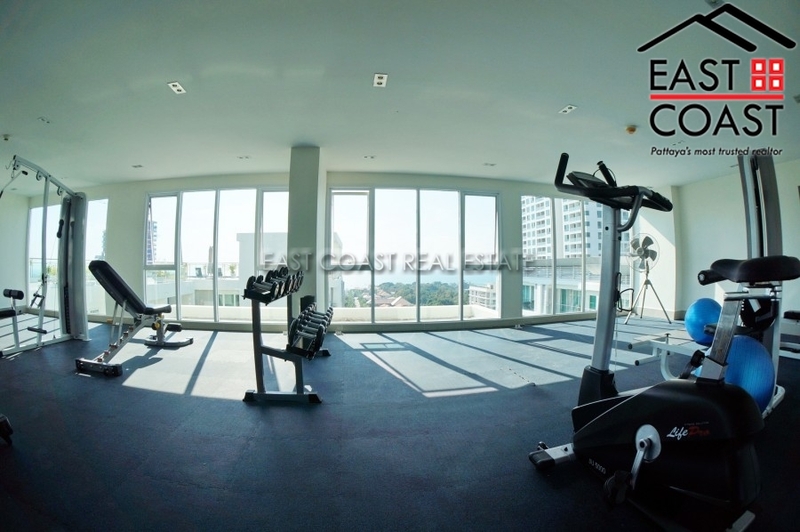 This condo has a communal swimming pool and a fully equipped gymnasium. Available now for sale in Thai Company ownership. 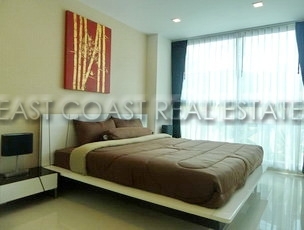 Laguna Bay 2 This newly completed low rise condominium located in Pratumnak Soi 6 is less than 500 meters to the beach. This 1 bedroom condo unit is on the 8th floor. The living area including balcony is 38 sq.m. It comes fully furnished with a Full-Size refrigerator and washing machine. Facility of the building include two communal swimming pools, 24 hour security, key card access, fitness on the rooftop, parking, CCTV and Free Wi-Fi from the building. Title deed is held under Thai name. Tax and Transfer fees to be split 50/50 between buyer and seller. Sombat Condo view . This is a great location at Pratumnak Soi 5. 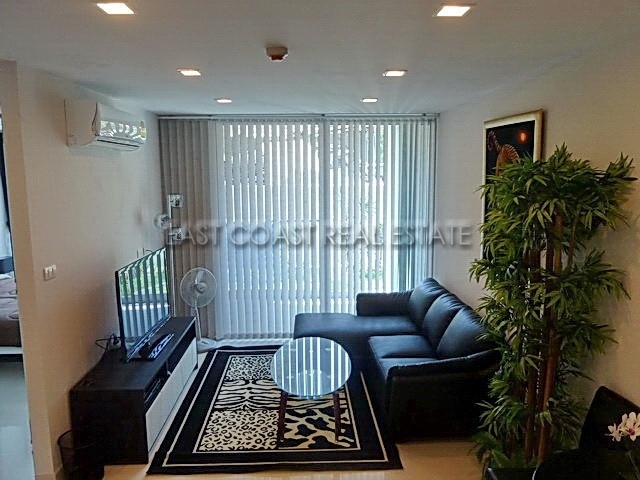 The condo unit is surrounded with all local amenities. 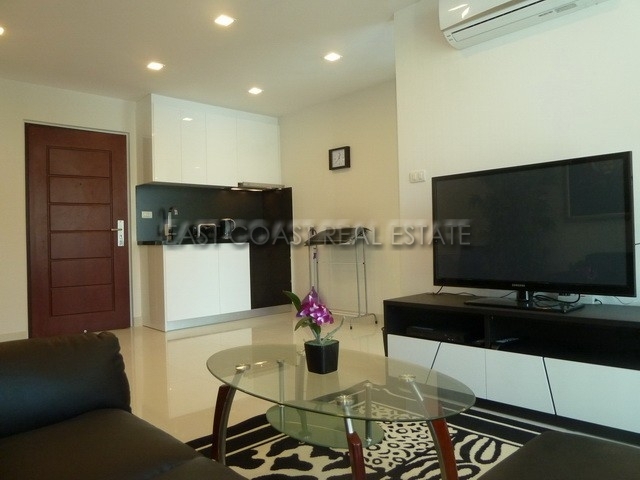 Few minutes walk down to Pratumnak Beach The condo comes with fully furnished. 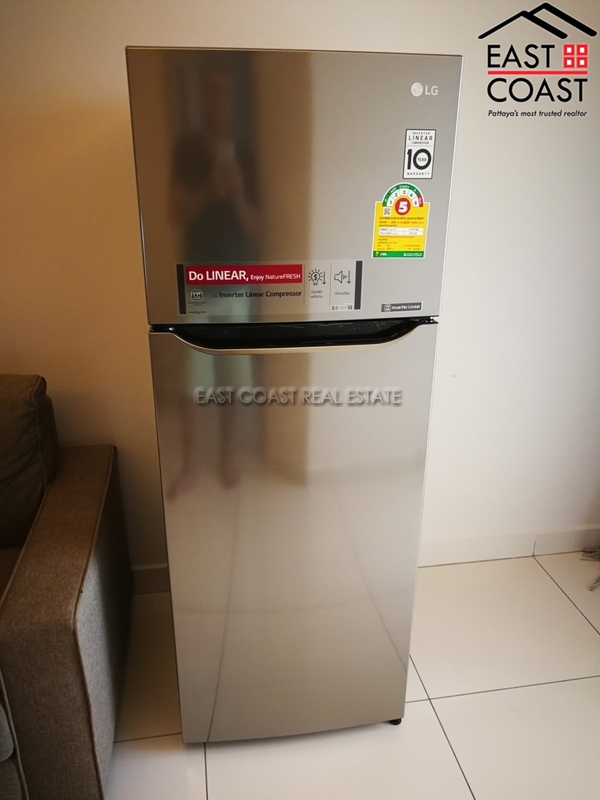 Hot water, air conditioning, fitted kitchen even washing machine etc. 64sqm ,one bedroom and one bathroom , stuning sea view from balcony The condo unit is held under Foreign name with tax & transfer 50/50. Nova Ocean View. Located in a quiet residential area, this low-rise building is just 300 metres from the beach and has plenty to offer for day-to-day living. Nova Ocean View provides all residents full access to all the communal facilities - a rooftop swimming pool with sea view, sun deck, and fully equipped fitness centre. 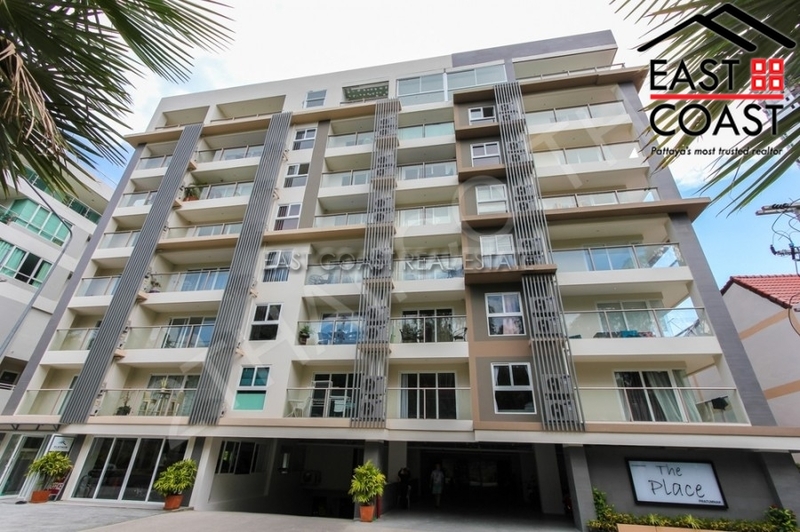 Pratumnak Hill is a quiet location nestled between the hustle and bustle of Pattaya City, and the more slowly paced environment of Jomtien Beach. However getting to either is a very easy thing so you have everything on your doorstep. This open studio has a nice 46 square metres of living space which is sufficient space to keep this property light and airy. It is available fully furnished and has a nice wide European kitchen, bright bathroom with rain shower and a balcony. 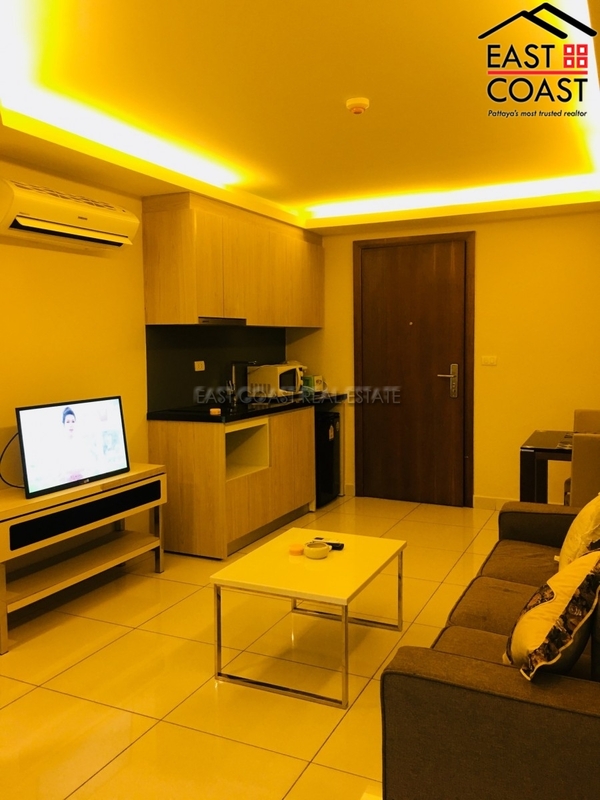 This property is held in Foreign Name ownership, and all taxes and transfer fees at the land office at time of transfer to new owner shall be split 50/50 The advertised price of 15,000 Baht per month is for a 1 year contract. A shorter period of 6 months is available at request. 2 month security deposit will be required prior to check-in. Emerald Palace Condominium. Located centrally between Pattaya city and Jomtien with its own fantastic secluded beach has become a very desirable place indeed. With its own small high street bustling with small shops, restaurants spa’s there is really no need to venture into town if you are looking for a simple quiet environment. This 45sq.m studio unit it set on the 5th floor of an 8 storey building with slight views of Cosy Beach from the balcony. Inside the property has been fully furnished very nicely with clean modern white furnishings and decoration. The high gloss kitchen offers plenty of storage, the flooring is wood laminate, and there is a flat screen TV plus Eco air conditioning. The property really is ready to move in. Offered for sale in Foreign Name (freehold) ownership with tax and transfer fees split equally 50/50. It is also possible to rent the unit on a long term basis with a 2 month security deposit. The Winner Condominium. 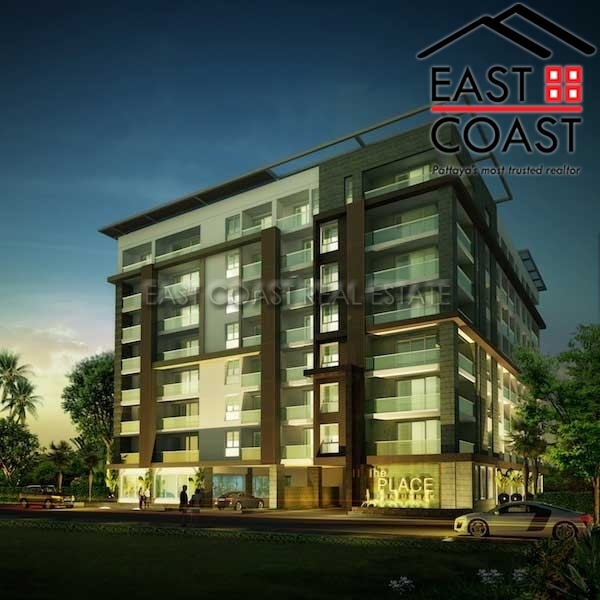 This low rise 7 storey building is positioned close to the beach on Pratumnak Hill. It was completed in 2015 to modern standards and provides a communal swimming pool and 24 hour security for all residents. Pratumnak Beaches are just 400 metres away, and can be reached easily on foot. This area is very quiet for passing traffic so also very safe. This 36 sq.m one bedroom unit is set on the 4th floor of the building with sea views and sea breezes from the balcony. Inside, this apartment has been fully furnished throughout and has a fitted Euro kitchen, bathroom and 2 x air conditioners. Pratumnak Hill has plenty of local shopping options, and it definitely boasts one of the best secluded beaches around. Available for sale in Thai Name Ownership with the taxes & transfer fees split 50/50. It can also be rented for a 6-12 month period with a 2 month security deposit. The Peak Tower condominium. 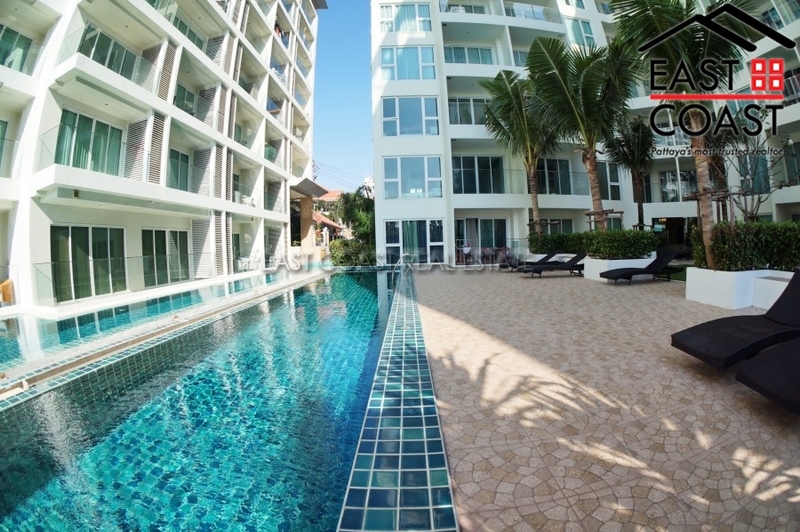 Located only 400m from Cosy beach in the highly sought after area of Pratumnak the location is set between the stretches of beach in Jomtien and city & nightlife of Pattaya. Very close to various shops along the small high street and a great selection of Thai and International cuisine. A short stroll from the Royal Varuna Yacht Club, plus easy access to some 5 star beachfront restaurants with The Sheraton and Royal Cliff. 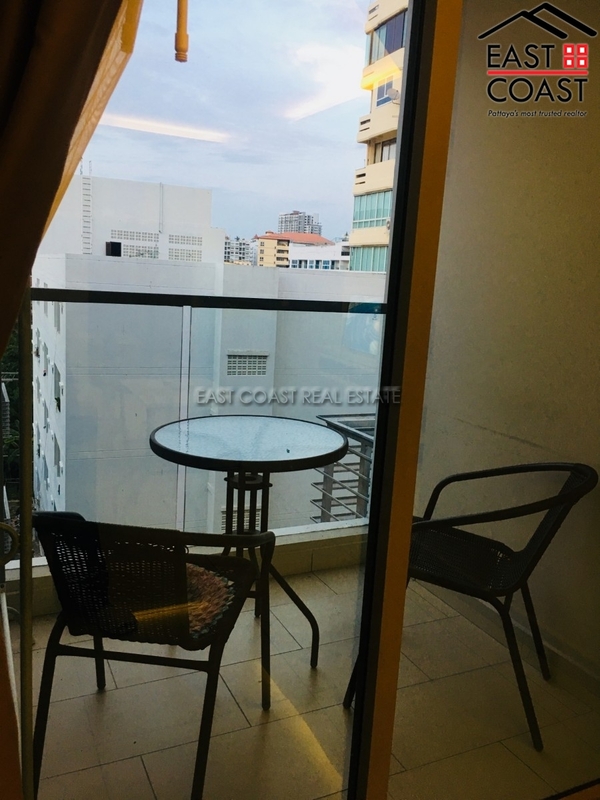 This 18th floor FOREIGN NAME re-sale is a 31sq.m unit which has been designed to maximize space and take advantage of the stunning sea views from the balcony. The project is due for completion at the end of 2014 and will feature hotel styled lobby’s service by 6 customer elevators. Multi storey car parking, 24 hours security, CCTV and card access control are also some of the extra systems put in place to make sure that residents feel as safe and secure as possible. · Raised main swimming pool with decking area · Rooftop infinity swimming pool · Childrens play area, including shallow children’s pool · Rooftop Gym and exercise area · Professionally designed Relaxation sala areas · Beautifully landscaping including water features · On site restaurant / café · Business and meeting areas Please contact us on +66 (0) 38 723615 or e.mail us [email protected] for more details, or to make an appointment to view the current stage of development. 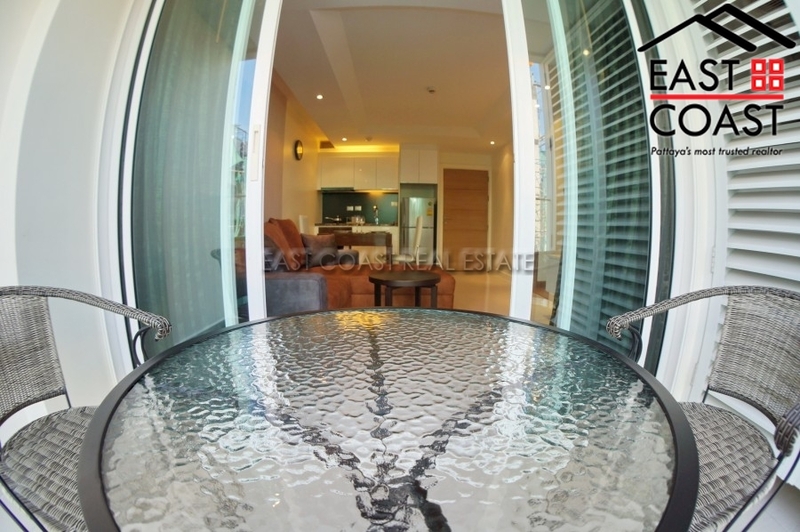 Located in the heart of Pratumnak Hill and with views over the city of Pattaya is this high floor studio unit. The Cliff condominium is a recently completed high end complex and should be viewed by those that appreciate a lifestyle building. The units has just been finshed and furnished with a designer feel to it. Quite a unique unit in this development. 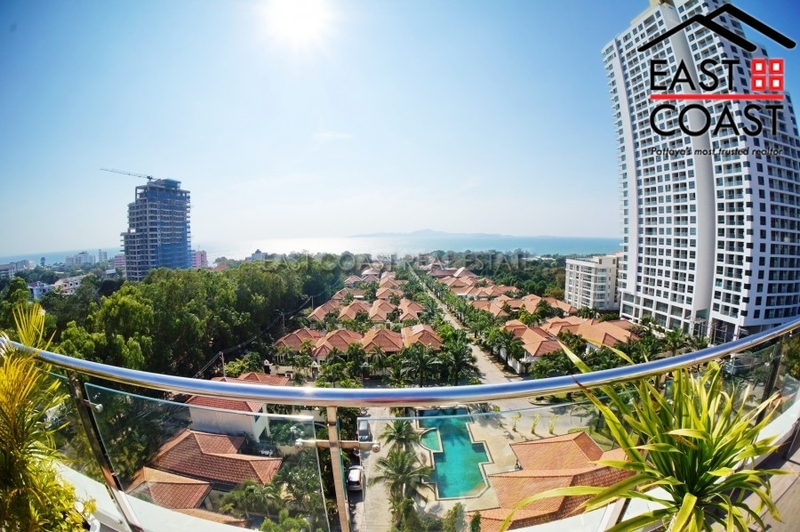 It is located on the 20th floor and has views not only to Pattaya but Jomtien Beach as well. The unit gets the morning sun and actually has a balcony big enough to enjoy the rays from. Although this is a studio it feels bright and airy. No feeling of claustrophobia here!! The unit is fully furnished as you see in the pictures. It also has WIFI (additional charge) and Cable TV system. It is within easy walking distance of Cosy Beach and all the amenities around that area. The building has a great, family swimming pool and play area, gymnasium, underground car parking and 24 hour security. Better than many 5 star hotels!! Short terms available please contact us. Also available for sale under Thai ownership. Taxes and transfer costs to be split 50/50. The Cliff. 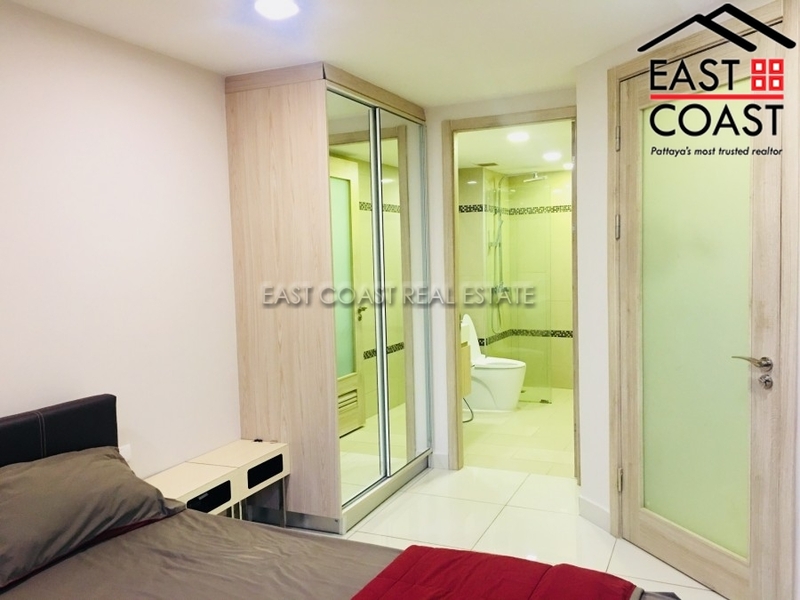 This modern trendy studio unit is located in a newly completed high rise building on Cosy Beach area of Pratumnak Hill. 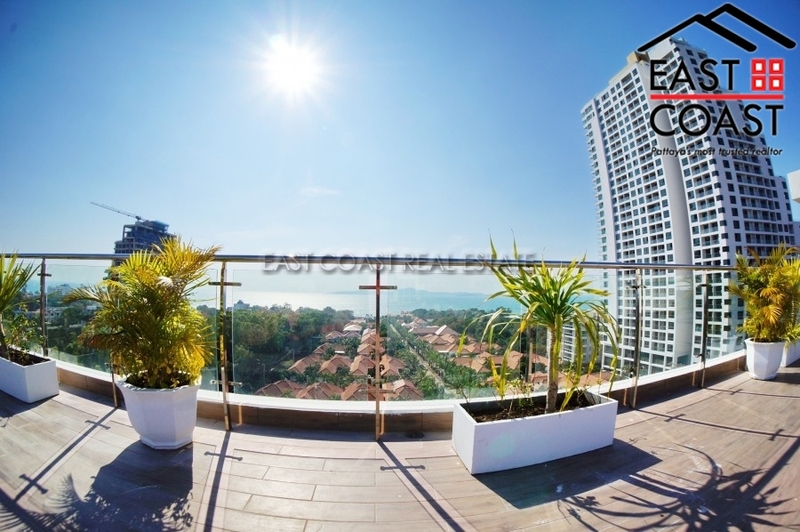 Located high up on the 20th floor the unit offers panoramic views of Pattaya Bay, Buddha Hill, the City and Jomtien. 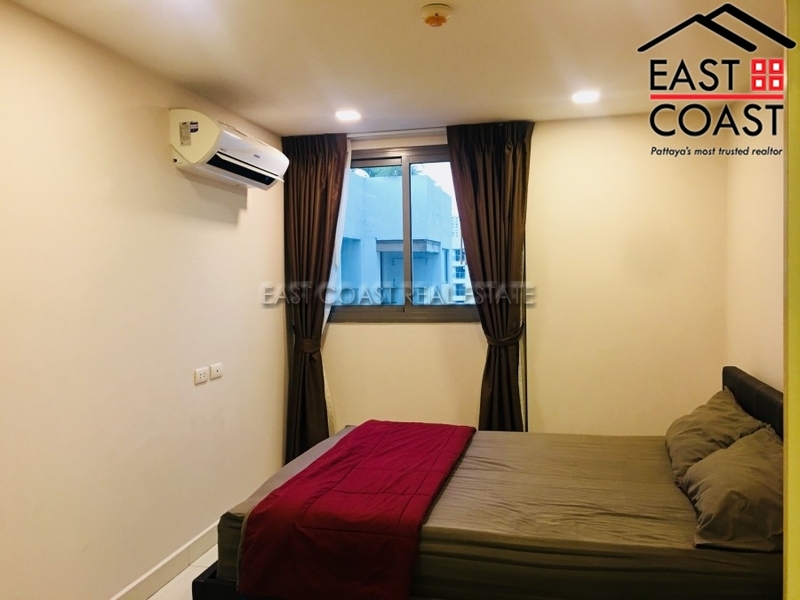 The unit has been furnished to a high standard and features fitted European kitchen, built-in wardrobes, quality bathrooms, Cable TV, and WIFI at additional charge, etc. The building offers five star facilities such as communal swimming with kid's pool and water slide, gymnasium, quality lobby area, children's playground and 24 hour security. Available for RENT now with 2 month holding deposit. Also for SALE under Thai ownership with 50/50 transfer & tax fees. 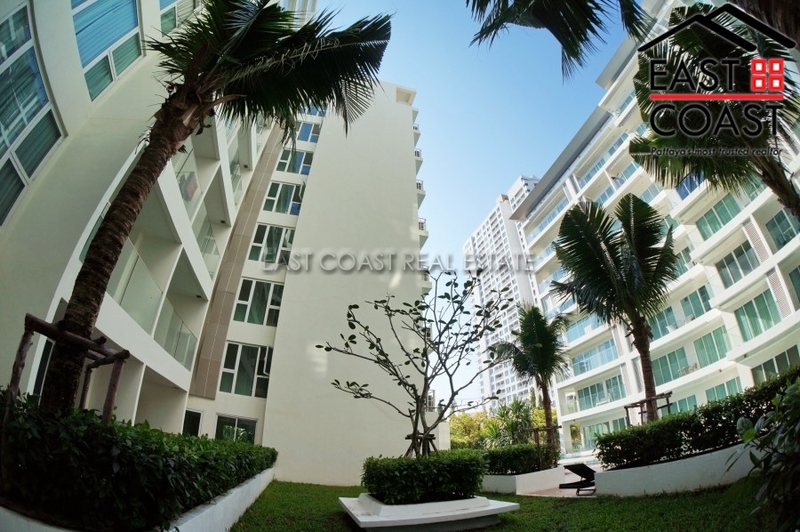 45 SQM 1 bedroom Condo on the 4th Floor of this Excellent Pratumnak Development The Place. Lovely swimming pool surrounded by Tropical Plants, gymnasium, 2 areas of car and motorcycle parking and on-site laundry. Minutes to popular restaurants Sky Gallery and Chocolate Factory, Cosy Beach, and a host of local amenities including international restaurants, 7/11, shops, bars and massage. 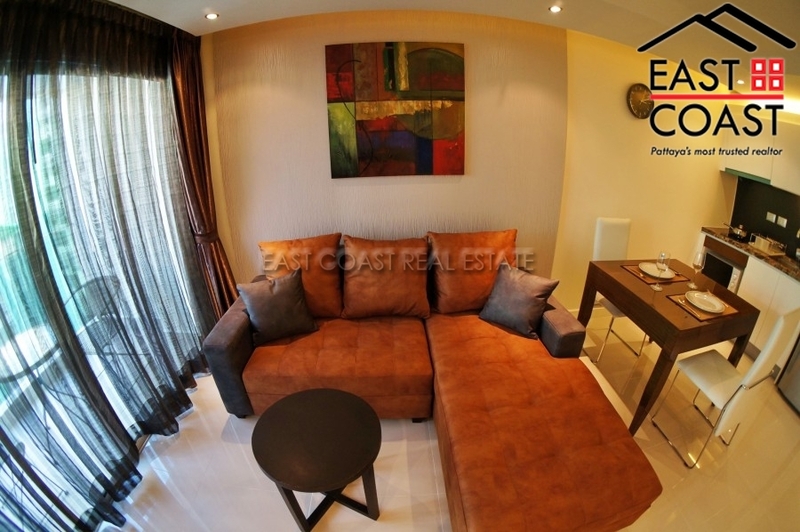 This is a well laid out 1 bed condo equipped with European kitchen with glass spashback, cooking hob and extractor, large Fridge Freezer open plan to good size lounge with 50 inch TV wall mounted and ample space to dine on the table and chairs as well as corner sofa with access to private balcony. Double bedroom with large built in wardrobes and TV wall mounted and high spec modern bathroom. The Place is located in Pratumnak Cosy Beach area on the first turning as you head down the hill. You can get into Pattaya City or Jomtien Beach within minutes via Taxi outside the door or Baht Bus Route if you walk 5 minutes to the top of the hill. There is the fantastic beach at Cosy beach within walking distance as well as a variety of sunset view points. Pratumnak is a fine place to position yourself if you want to be able to access all parts of Pattaya and Jomtien quickly but also not live immediately in the bustling City. The Condo is available for long term rental minimum 6 months. Sunset Boulevard 2. 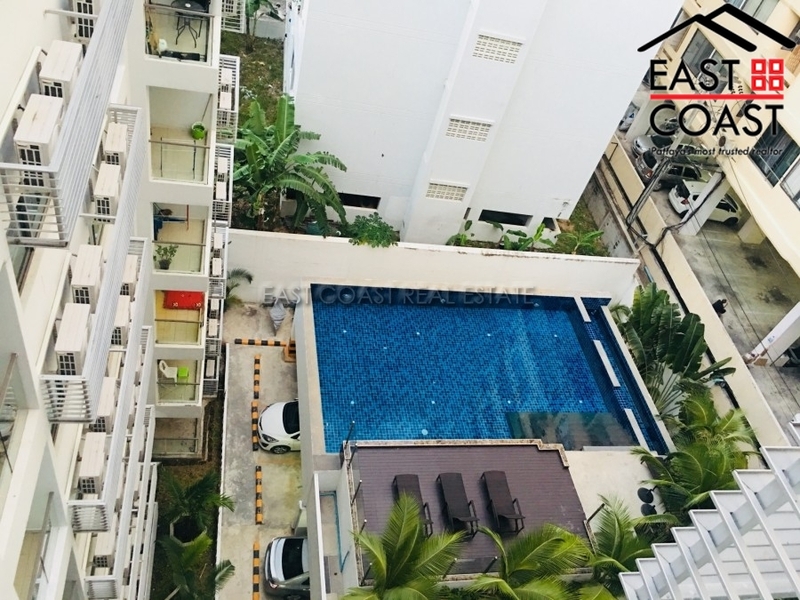 This newly finished low rise condominium is located on Pratumnak Hill and only few minutes’ walk to the probably nicest beach in Pattaya at Hu-Kwang Bay. 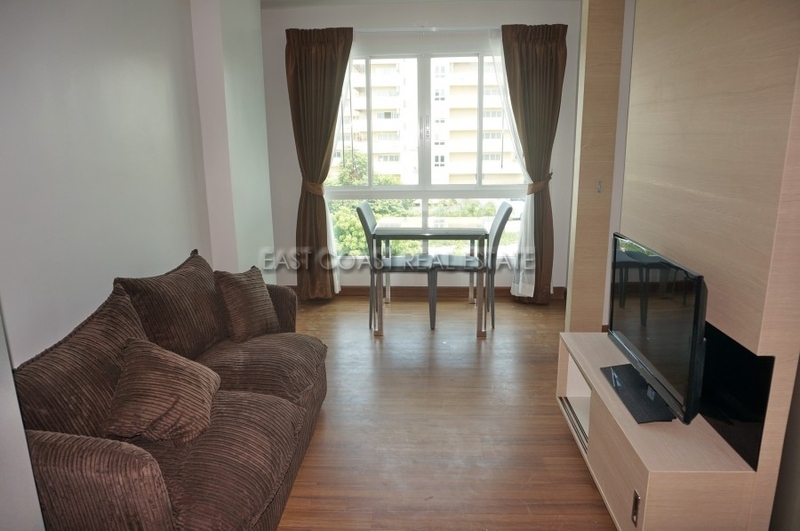 This 1 bedroom condo unit on the 5th floor with a living area of 39m². 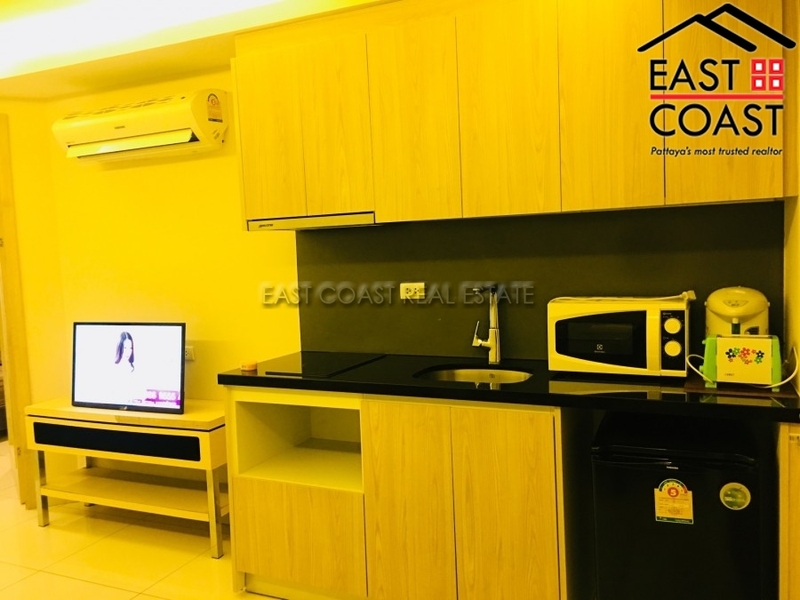 The condo comes fully furnished, a fitted European kitchen, fully air conditioned, a built in wardrobe, a safe and a 40' flat screen TV, DVD player and Heco Ascada 300 BTX Soundbox and Bluetooth speaker for music streaming and movies with surround-sound cinema effect. The kitchen is equipped with high-quality ceramic ware, cocking utensils and microwave, kettle and toaster. The bed has a Anti-Dust-Mite mattress and the bedding is high-quality Picasso US-cotton linen. 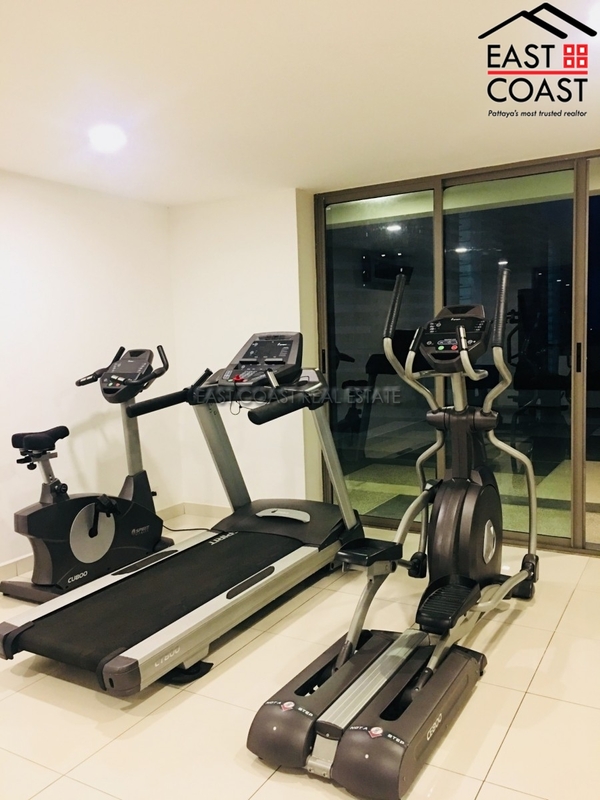 Facilities of the building: 24h security guards, key card access, CCTV, an air conditioned lobby area, garden with communal lap pool, a roof top pool, fitness room, underground parking for motorcycles and cars, cleaning service, Cable TV and WIFI connection. This condo is available for rent or sale. Rentals are 16,000 Baht/monthly for a 6 month contract or 14,000 Baht/monthly for a 12 month contract. All transfer costs to be split 50/50. The View Condominium. 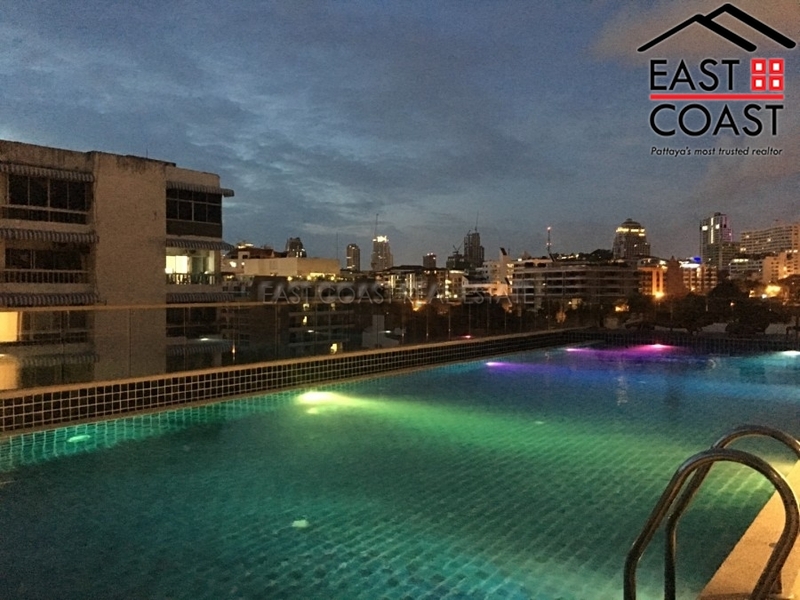 Complete in 2014 this unit is a re-sale located on 7th floor which has been completely re-furnished above the standard developer finish. 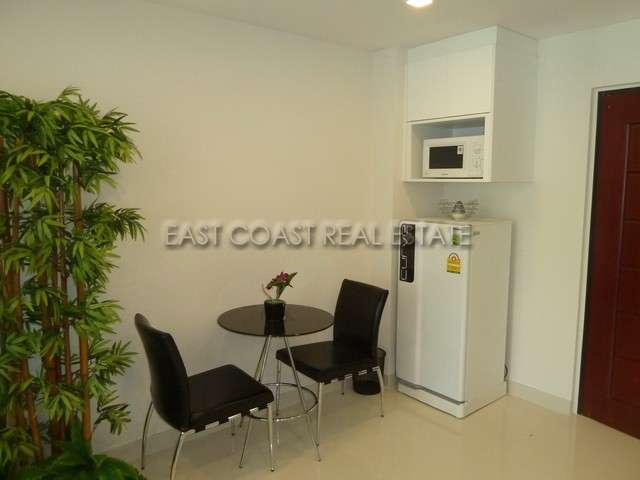 Fully furnished and 44 Sqm it includes a European kitchen and appliances with a 1 bedroom, 1 bathroom layout. The bathroom has a walk-in rain shower system and both rooms are air conditioned The building is located on a quiet street on Cosy beach with the lovely beach within very easy walk. 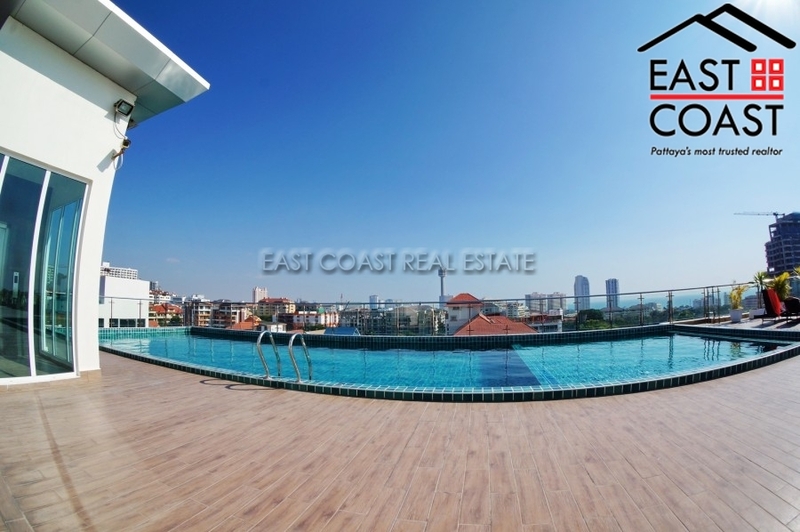 The View is only a 20 storey building and has a fully equipped gymnasium, and a roof top communal swimming pool with fantastic panoramic sea views This unit is held in the Foreign Name. The View Condominium. Standing proud atop Cosy Beach the views are very striking. 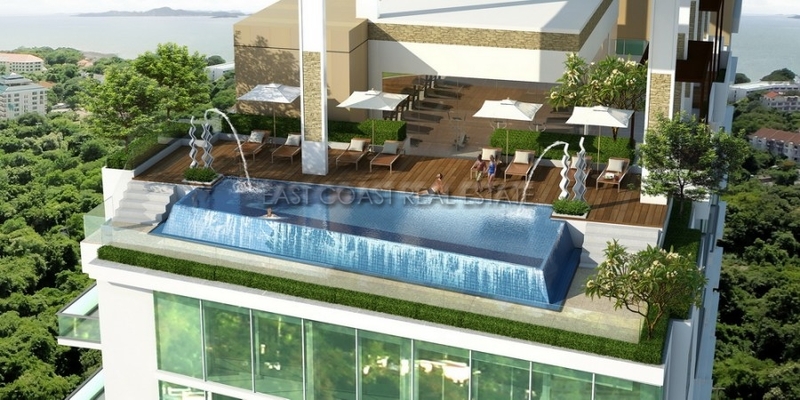 This 20 storey tower has an amazing panoramic communal swimming pool on its top floor. The unit for sale is located on the 7th floor of the building and provides a 1 bedroom, 1 bathroom layout. The owner has completely changed and upgraded everything in the room from standard. Beautiful rain shower bathroom, built in furniture, fully equipped Western kitchen and air conditioning. Owned under the Foreign name. 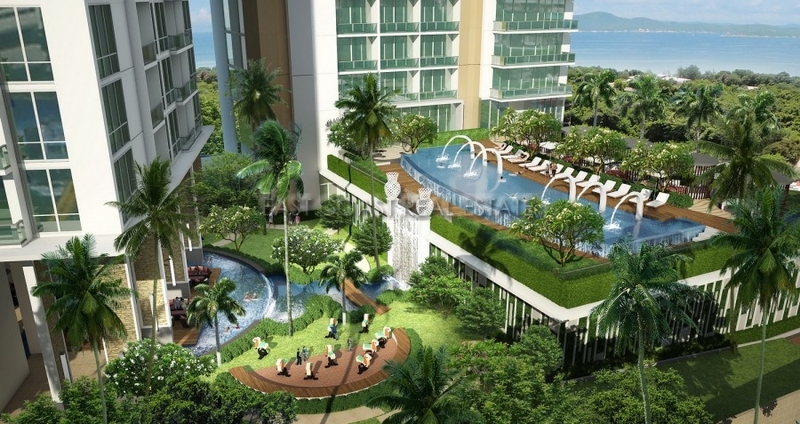 Sunset Boulevard 2 is a well regarded condominium development on Pratumnak Hill. Featuring a roof top swimming pool with far reaching sea views out to the sunset against Koh Larn. This is a 39 SQM 1 bedroom condo on the 8th Floor of the building. Open plan lounge and TV area to dining space and kitchen with cooking hob and extractor hood. Fully tiled modern bathroom with shower. Private balcony off lounge. Located in the popular residential hub of Pratumnak Hill with easy access to the beach and local amenities. Pattaya City and Jomtien are within 5 minutes of your door via motorbike taxi or the Baht Bus Route. Offered for sale with Thai/Company Ownership, transfer fees to be split 50/50. 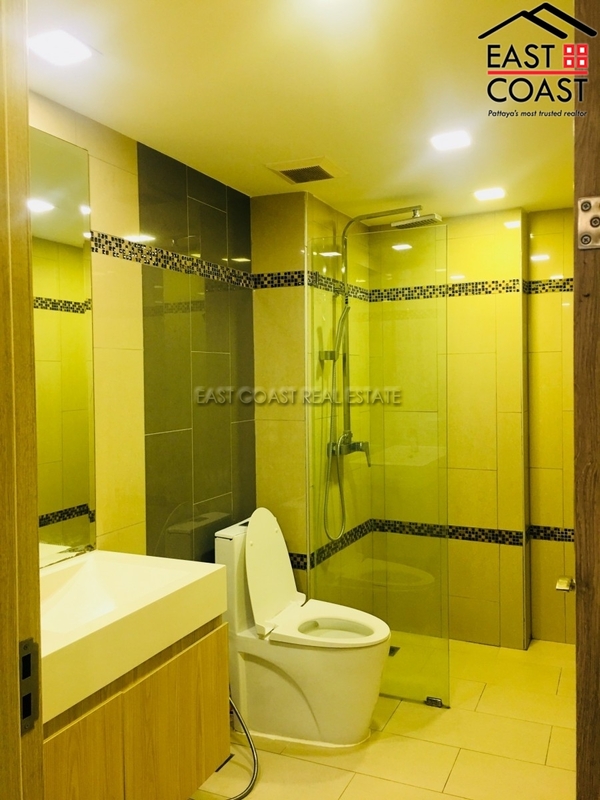 Bedrooms: Studio Bathrooms: 1 In Foreign Name Living area : 41 sqm. Holiday Condo View Condominium is a small low rise condominium in a prime location on Pratumnak Hill just 250 meters from Dongtan Beach. The building has been fully renovated recently from top to bottom. The condo provides a communal swimming, security, parking, and reception. This particular ground floor unit has received a superb facelift, and has been completely refurbished with high quality materials, and furnishings. Pratumnak is popular for its quiet family location, close to one of the cleanest beaches in the area. The hillside now offers a variety of different nationality restaurants - French, German, Indian, Russian, European, and Thai. There are small souvenir and gift shops, plus ample 7/11’s and even a Tesco Express. This condominium is held in Foreign name title, with all taxes and transfer fees split equally 50/50. Diamond Suites. 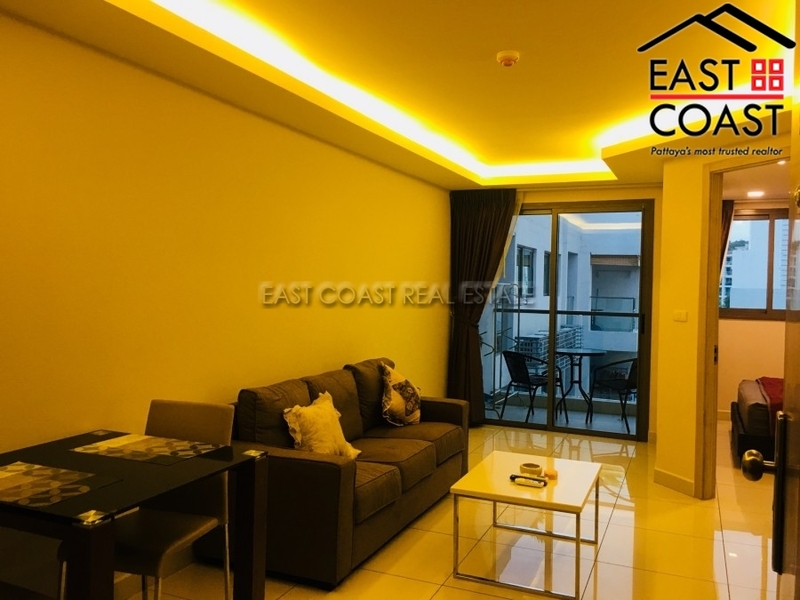 This newly completed low rise condominium is located at Thappraya Road, just few minute drives to Pattaya City and also few minute drives to the Jomtien Beach. 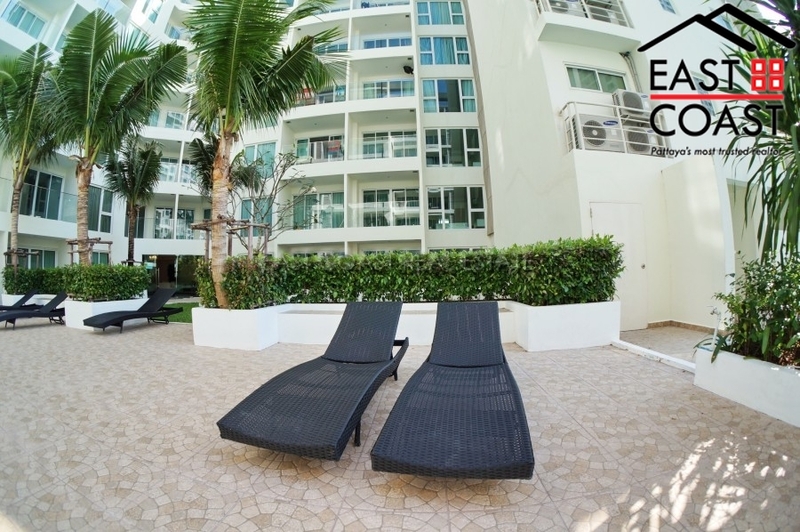 One of the best decorated condo units within this complex with a private BBQ area. 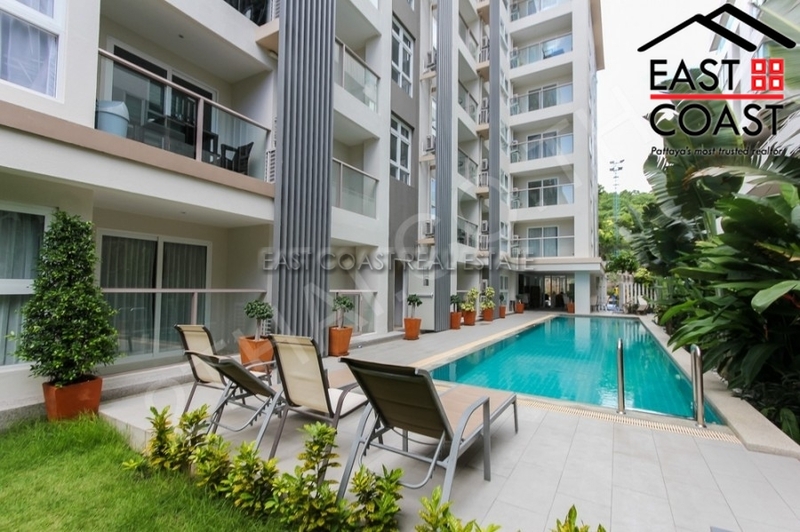 This 56.24sqm condo unit is fully furnished, so you just need to bring your suite case and enjoy the nice view to the communal swimming pool and the garden. Rent to buy options available. Please contact us for more details. Transfer costs to be paid by the purchaser. Holiday Condo View is located on Pratumnak Hill. A nice small Condo with just 5 floors and only 250 meters from the beach. The building has a communal swimming pool, 24 hr gated security access and reception area. 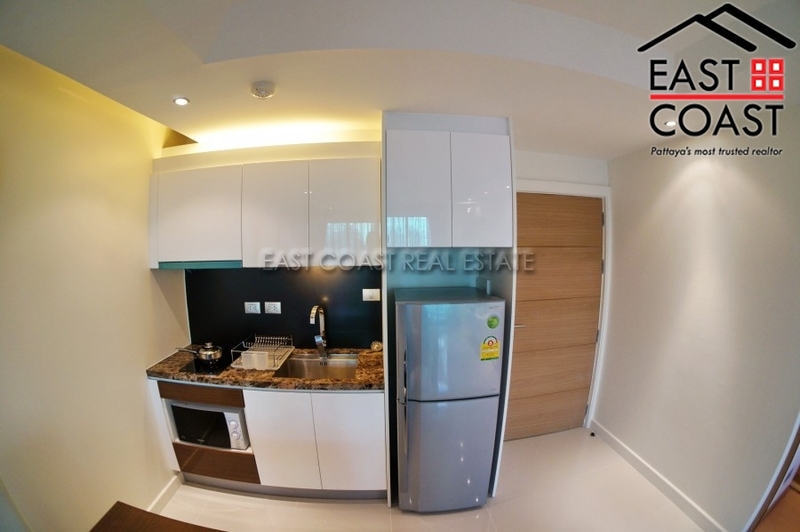 This condo is available with a minimum 6 months + contract. Price advertised here is for a 1 year contract, so expect the rental price to be slightly higher for shorter term period. Available for sale at 2,000,000 Baht with title deed held in Foreigner name. Park Royal 3. 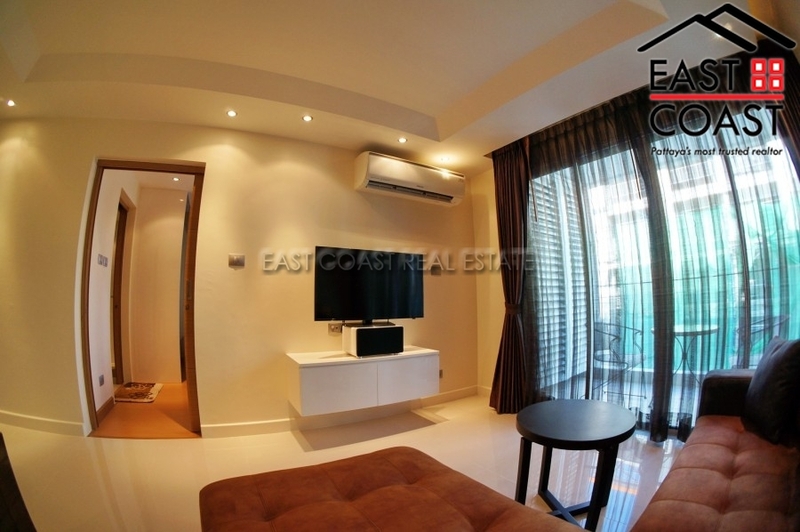 A modern and stylish one bedroom unit situated in a low rise building on Pratumnak Hill Soi 6. Only a short walk to the beach, shops, restaurants and local amenities. Pattaya City and Jomtien beach are a short drive away. The unit is available fully furnished for long term rental only. Building features communal pool, gym and rooftop Jaccuzi. Price at 20,000 baht per month for 6 month contract upwars. 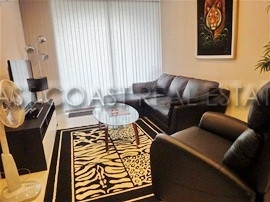 This condo unit has been nicely finished with a fully fitted kitchen and high quality furniture. The large balcony is the perfect place to relax after a day at the beach. It is in a very quiet area. Building amenities include hotel-like reception, communal pool and relaxation area, rooftop Jacuzzi, fully equipped fitness center, free WIFI internet connection, underground parking and 24-hour security. Within minutes you can be at the open market, Walking Street, Pattaya and Jomtien. Owned in Foreign Name ownership. Tax and transfer fees split 50/50 Available for rent with a minimum 6 month contract upwards at 20,000 baht per month.